I hate leaving stuff to the last minute. I still haven’t packed for Sydney. Pre-reading and questions not done. Need to send off answers today before I leave early tomorrow as I have to print out a set of answers. Have asked hubby to sort out the credit card so I can book stuff. We only have the minimum amount on the credit as a safeguard thus it’s a pain as always overdrawn. 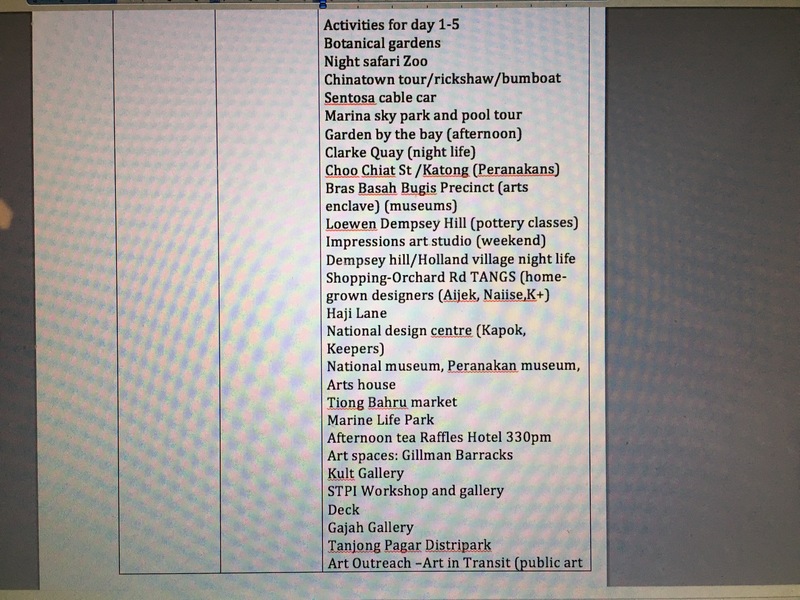 Since I can’t book I’m brainstorming for activities to do in Singapore. Volunteering sorted . They’ve invited me to government house again. I’m off on an early flight tomorrow so it means I’ve got to be at the airport by 530am latest as security has been beefed up after that Sydney airport terrorist scare. Second day of antibiotics. Hopefully by the time I get to Sydney it would have kicked in. The joy of growing old.